In simple terms, refractory angina (RFA) is a disabling chronic heart pain, as a result of heart disease. Angioplasty, coronary artery bypass surgery, or even medical therapy have failed to control this chest pain. A chronic chest pain can be determined if it occurs longer than three months. The blockage of arteries takes place due to a build-up of plaque. As a result, blood flow slows down and makes it hard for oxygen-rich blood to reach the heart. This causes angina or chest pain. Those suffering from angina may experience back, neck, shoulder, arm, or jaw pain. Those with RFA have angina symptoms that are more severe and difficult to manage than those who experience regular stable angina. The symptoms are usually unmanageable; however, there are few specialized treatments that can aid in reducing the severity of the symptoms. A non-invasive therapy known as Enhanced External Counter Pulsation (EECP) places compressive cuffs on the upper and lower legs (calves, upper, and thighs). Along with the beating of the heart, the cuffs also inflate in time, this helps pump more blood to the heart muscle and reduces the work that the heart has to do in order to pump blood to the other areas of the body. It is a one or two hour session and completing the entire treatment with EECP takes about 35 hours. Another minimally invasive therapy is Spinal Cord Stimulation (SCS) and includes application of an electrical current to the spinal cord. SCS is given by inserting electrodes (lead) under the skin at the back at the level of the breast bone, which numbs both sides of the chest. The electrodes are then connected to the implanted source of energy that connects to a portable control device that can be worn on one’s belt or in one’s pocket. Based on the prescription, treatment with SCS can either be intermittent or continual. Refractory angina refers to a debilitating cardiovascular condition characterized by the inability of arteries to supply the desired volume of blood to the heart. The condition is not amenable to traditional revascularization procedures and often shows poor response to conventional medical therapies. It is estimated that nearly 1,000,000 people in the U.S. alone have refractory angina and 25,000 – 75,000 new cases are diagnosed every year. Globally, the prevalence of refractory angina is more than two mn people and is significantly rising. As the prevalence of this diseases rises globally, the focus of the medical fraternity and the number of research activities aimed at the development of newer drug varieties and efficient therapies to treat this disease population are also significantly increasing. As a result, several novel therapies for the treatment of refractory angina are available in the global market and several new varieties are expected to be introduced in the near future. Patients with refractory angina have consistent symptoms such as shortness of breath, chest pain, and easy fatigability, leading to the patient’s inability to perform ordinary physical activities. Additionally, a large number of patients may also develop a number of other associated diseases such as diffuse coronary arteries disease or multiple distal coronary stenosis, which ultimately lead to impairment in quality of life and increases the rate of morbidity. 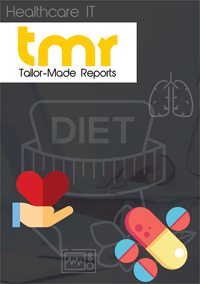 This report on the global refractory angina market presents a thorough overview of the present state of the market in terms of criteria such as available drug varieties, diagnostic methods, treatment modalities, and the future scope of development across these areas. The report gives a detailed overview of the factors expected to drive, restrain, and influence the overall development of the market over the forecast period. The increased focus of public and private bodies on the rising prevalence of this condition across several countries has led to an encouraging rise in development activities across healthcare infrastructures in developing economies across regions such as Latin America and Asia Pacific. Increased expenditure on healthcare and fitness and easy availability of several effective treatment methods across these economies are collectively driving the global refractory angina market. In developed regions such as North America and Europe, the market is driven due to the high awareness about available treatment modalities and rapid introduction of novel treatment methods. However, most of the available therapies have failed to improve the quality of life of patients in terms of finding a permanent solution. The negative public sentiments regarding these treatment methods could act as a restraint for the overall growth prospects of the market in the near future. Nevertheless, gene-based therapies, some of which are undergoing clinical trials, could present lucrative growth opportunities for the market in the next few years. The available treatment methods for refractory angina in the market can be broadly segmented into three segments: invasive therapies, noninvasive non-pharmacological therapies, and pharmacological therapies. The segment of pharmacological treatment comprises drugs such as Estrogen, Nicorandil, Ivabradine, Ranolazine, and L-arginine. The segment of noninvasive non-pharmacological treatment includes therapies such as enhanced external counterpulsation (EECP) and Transcutaneous Electrical Nerve Stimulation (TENS). Some of the key players operating in the global market for refractory angina are Ark Therapeutics Group plc, Neovasc Inc., Saneron CCEL Therapeutics, Inc., Vasomedical, Inc, and Cryopraxis.